(Closed New Year’s Day, Easter Sunday, Thanksgiving Day and Christmas Day). Our world-famous fresh cheese curds are available for purchase starting at 11:00am daily, seven days a week. Be sure to pick up a free cheese and wine/beer pairing guide during your visit. A farm-scene mural with the headline Cheese Curd Capital of Wisconsin makes a great photo opportunity. Dont leave without taking a selfie to prove to envious friends and family that you were here. Just a short one-hour drive east of the Twin Cities you’ll find the village of Ellsworth, also known as the Cheese Curd Capital of Wisconsin. 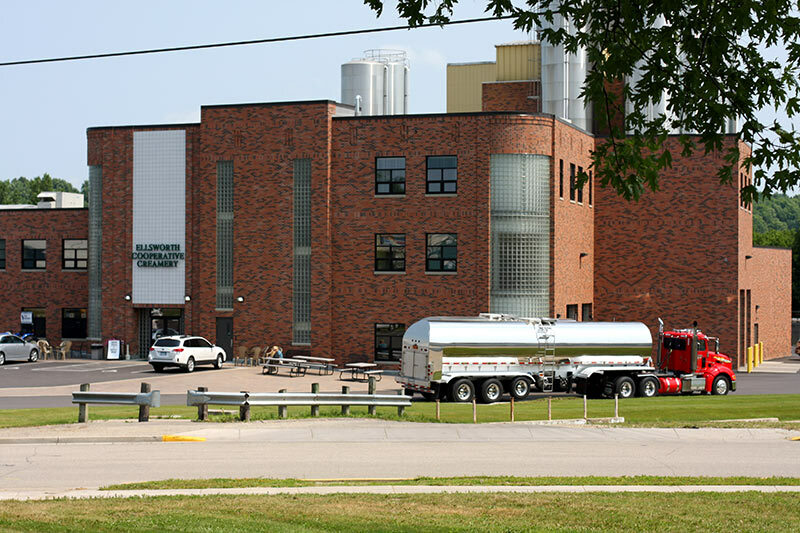 170,000 pounds of All Natural Cheddar Cheese Curds are manufactured here daily, and cheese curd fans begin to line up just before 11:00 am to purchase the first of the curds produced that day. But cheese lovers will be happy to know that we offer so much more. Over 80 different varieties of artisan and specialty cheeses produced at our facility in Comstock, plus nearly 200 more of Wisconsin’s best, make for a well-rounded cheese-lover experience. And since man can’t live on cheese alone, you’ll find wines and craft beers from the most popular regional wineries and breweries. Customers will find many suggestions for pairings and a variety of cheeses available for sampling each day. Many other locally made foods can be purchased too, including the popular Flat Pennies premium soft-serve ice-cream, cheese curd brats, deli sandwiches, take and bake pizzas and Flo’s Fudge, which is made in-house. Shoppers will also enjoy shopping souvenirs, gift items and unique kitchenware and home accessories.